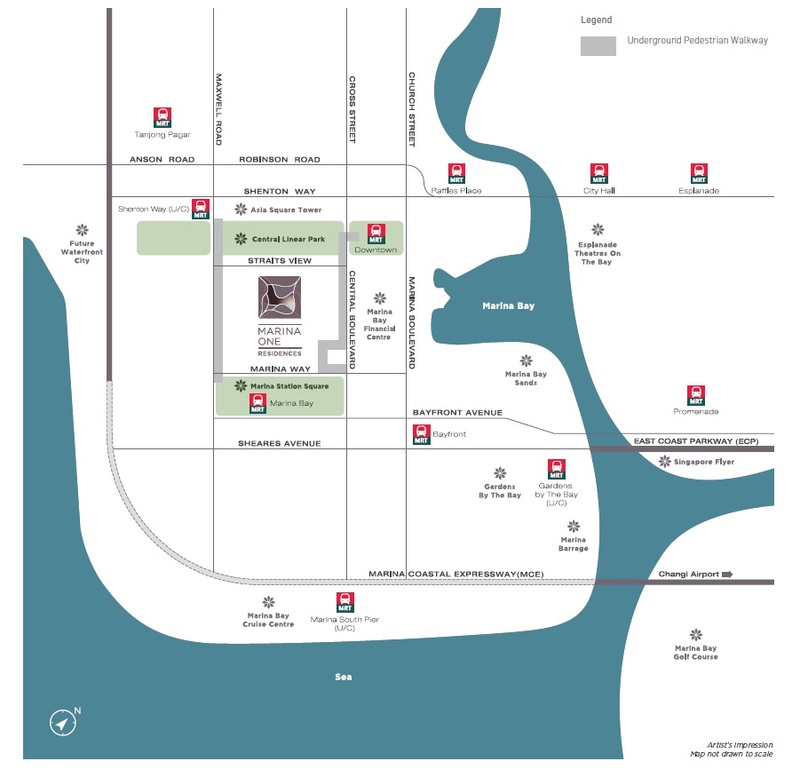 Marina One Residences is uniquely suited to be part of Urban Redevelopment Authority’s long-term plan to transform Marina Bay into a lively district interspersed with spaces that include amenities, playgrounds, retail opportunities and lush greenery. This area is also earmarked to be a future global business and financial hub near Singapore’s future Waterfront City, making Marina One Residences perfectly poised to reap the extraordinary benefits of this area’s growth, and a space that’s truly worth having. Set amongst 65,000 sqft of lush greenery and spectacular waterfall features is a myriad of integrated private and public spaces within Marina One. Unwind at the 50 m. lap pool or the fully equipped 200 sqm, gym; entertain at the private dining rooms and teppanyaki terraces; and enjoy unique retail indulgences and signature dining. Here at Marina One Residences, this is where a city finds its space in a garden. With panoramic views of the city skyline, sea and Gardens by the Bay, experience the rare opportunity of park-like luxury living right at the city’s heart. Where every home is thoughtfully appointed with premium Villeroy & Boch bath wares, top-in-class appliances from Miele and signature Poggenpohl kitchen designs. The meticulously crafted interiors further extend into Marina One Residences’ architectural identity, with a bespoke signature weave adorning the balcony facade. Retail podium as part of the lushly landscaped biodiversity garden offering shopping and lifestyle amenities within verdant greenery of Marina One with approximately 140,000 square feet of net lettable area which includes food court, signature restaurants, supermarket, F&B, lifestyle convenience. Marina One East tower and Marina One West tower is 2 prime grade A commercial towers with approximately 1.88 million square feet of net lettable area.